Contains Oats, Barley, Milk and Peanuts. May contain Wheat, Egg, Soya and Nuts. 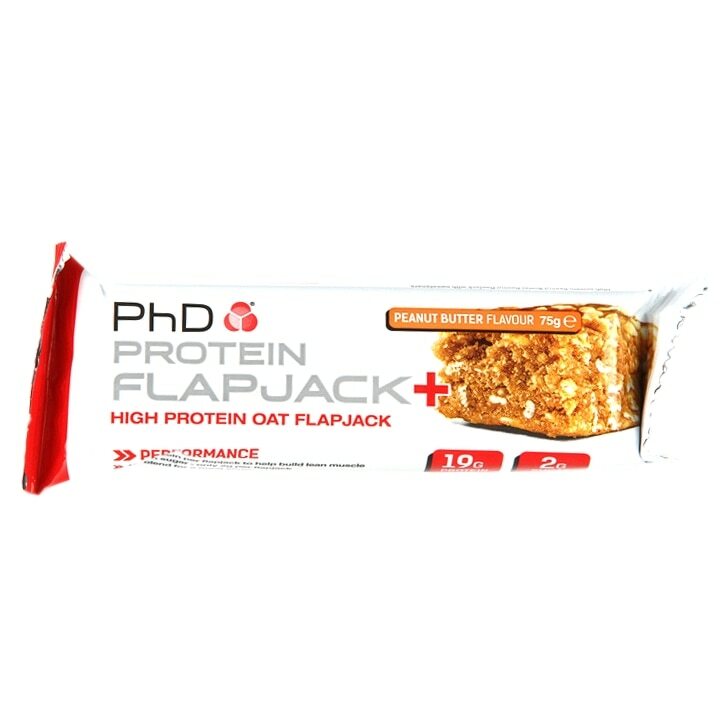 PhD Flapjack+ Peanut Butter is rated 4.6 out of 5 by 5. Rated 5 out of 5 by Freyabean1 from Good quick protein on the go Easy to grab tastes good without lots of calories. Rated 3 out of 5 by Cat92 from Not the nicest one These are ok a bit stodgey and not as nice as the forest fruit one quite hard to eat a whole one. Rated 5 out of 5 by Rocky365 from Fast delivery, top price! These are one of the best flapjacks I have ever tried. Top price and fast delivery are the reasons I will definitely be buying more. Rated 5 out of 5 by paulat from protein flapjack Totally great tasting compared to some other bars that often have an odd taste or consistency. Low in sugar but no compromise on taste. I'm addicted! Rated 5 out of 5 by Jason27 from Tasty and full of goodness If you love peanut butter this is a must buy. Good price as well, will defiantly get more.